Keeping your furnace operating efficiently and effectively is an ongoing responsibility. It is essential for you to conduct routine maintenance on the system. It is also vitally important to know who you will hire should your furnace ever break down. At Precision HVAC, our heating contractors specialize in both routine and emergency furnace repairs. With our help, you will always have a reliable source of warmth and comfort in your home. If your furnace is malfunctioning or inoperable, call Precision HVAC today. Our Saugerties furnace repair professionals are ready and eager to assist you. Our courteous and polite staff would be happy to take your call, to answer any questions that you may have, and to schedule your appointment today. If your furnace breaks down during the height of the winter, it is impossible for you and your family to enjoy your home to the utmost. As such, it is imperative that you know who you will trust with any heating emergency. 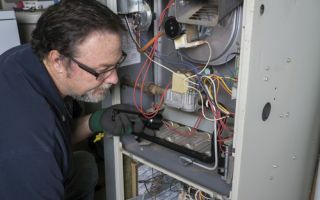 Our Saugerties furnace technicians are always on call in order to assist you with any major problem. With our help, you will be able to restore comfort to your property in the quickest time period possible. At Precision HVAC, our locally owned and operated Saugerties heating company is proud to serve commercial property owners in the area. We understand how important your furnace is to your business. Our team of furnace repair technicians are here to ensure that your heating system always provides for your needs. We seek to be a crucial asset to all our commercial clients. Our professionals will customize all of our services to your company's needs. We will conduct furnace repairs in a way that has the least impact on your everyday operations. You can always feel confident knowing that our highly skilled technicians are on call to assist you.